We are Houston’s Premier Sign Company for Signs, Banners, Vehicle Wraps, RTA, Decals and More! We are proud to announce that we have been re-certified! We are deeply involved in our community and industry associations, and believe it is key to the success of our business and yours. Our goal is to bring competitive pricing and innovative designs to our customers signs, banners, vehicle wraps, and more. Our dedication to 100% customer satisfaction sets us apart from the competition, and ensures our continued recognition. 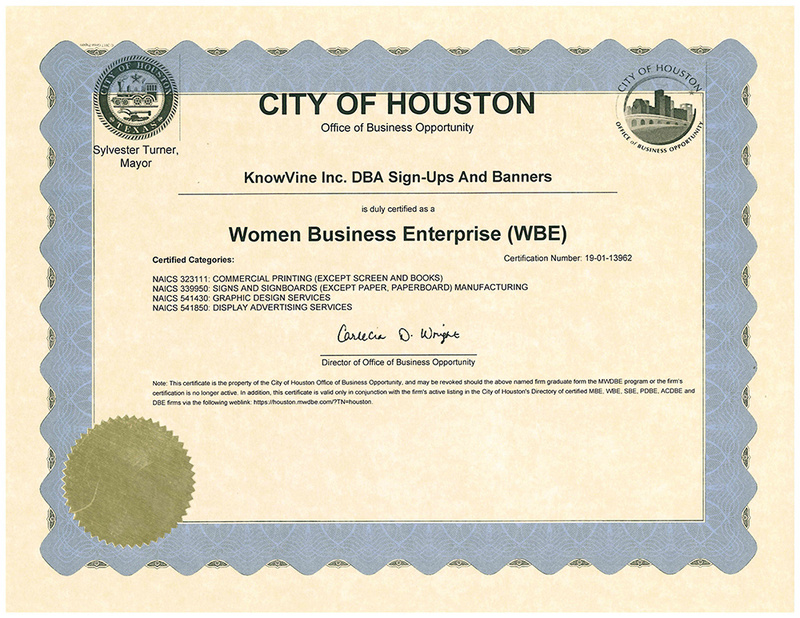 It is a pleasure to receive such an honored certification from the WBEA. 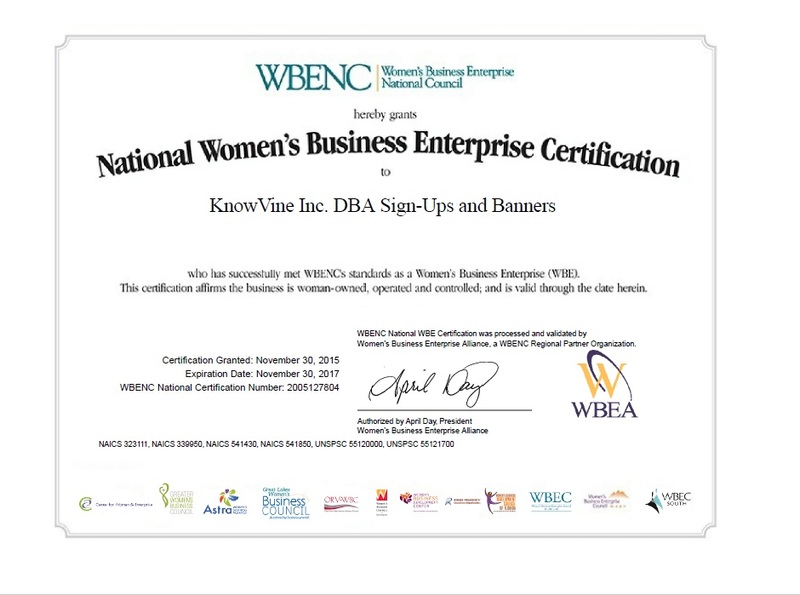 We take this certification seriously, and adhere to the principles and ethics the WBEA promotes. We pledge to identify and understand the essentials of each customer, then respond with sincere communications, quality products, and superior service. We train, empower, and encourage every employee to participate actively in achieving Total Customer Satisfaction. 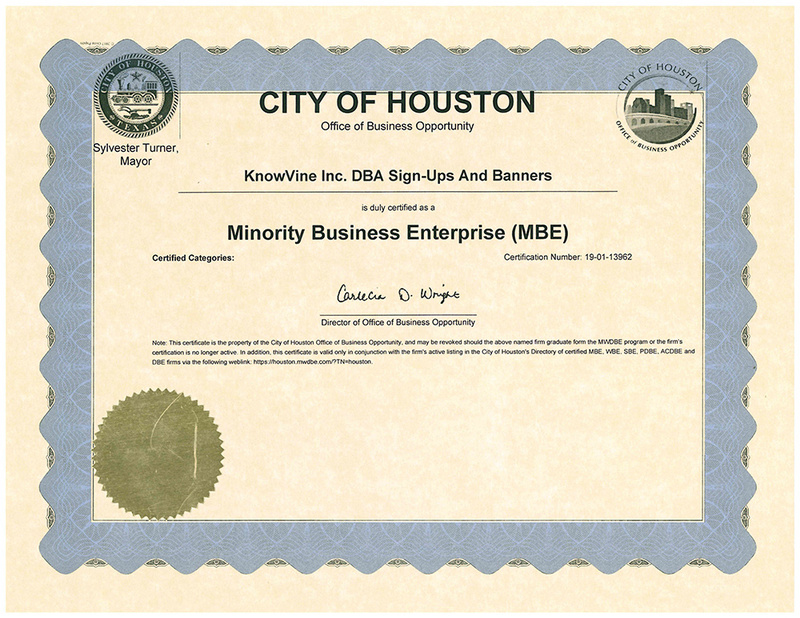 Tagged Banners, Certifications, Graphics, Houston Banners, Signs, Trade Show, Vehicle Wraps, Wraps. Bookmark the permalink.